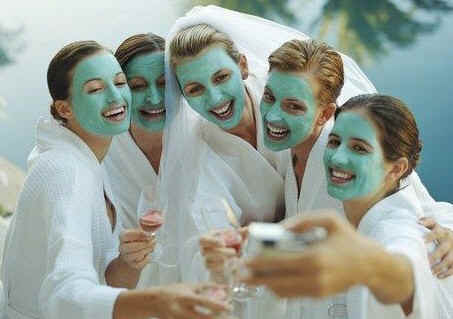 Come in and enjoy a relaxing day at the spa with your closest friends. You may bring in your own food and beverages (ID required for anyone consuming alcohol). We'll supply up to two tables and the fun! *We'll close the spa and cater just to your party and supply ONE of the following: Choice of fruit platter, veggie tray or fresh punch. How to schedule? Read and download our Spa Party Agreement HERE (including cancellation policy), fill it out, sign and return to us by e-mail or in person. Feel free to call ahead and "save the date," we'll help you with the rest! With each party, we will charge a 15% gratuity.